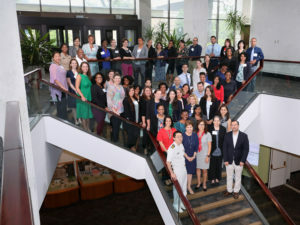 During the weeklong Institute, leading scientists in minority health and health disparities research held interactive sessions that highlighted the current state of research. Lectures and lively scientific discussions focused on how to advance the field. Scholars were exposed to a wide array of research topics that spanned from how health disparities occur to how they can be effectively eliminated. 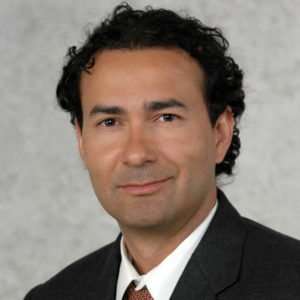 Topics covered included the embodiment of social factors, big data, systems science, and the use of artificial intelligence, as well as promising and innovative intervention approaches to reduce health disparities. One theme clearly resonated with HDRI scholars—health disparities research is becoming inherently more transdisciplinary and requires a team science approach that harnesses the expertise of scientists from different fields. HDRI scholars also gained considerable knowledge about NIH, grant writing, and peer review during the Institute. Scholars attended a workshop that taught effective grant writing strategies, witnessed a mock review of grant applications and discussed common shortcomings of applications, and attended meetings with program officials from NIMHD and 14 additional NIH Institutes, who gave advice on preparing and submitting applications. Positioning early stage investigators so that they can submit research applications to NIH and other funding institutions is essential for ensuring that minority health and health disparities research continues to make advances. New ideas, insights, and approaches are needed to address the scientific gaps in our understanding of how health disparities occur, as well as fostering innovative solutions that will achieve reductions in health disparities. This year’s HDRI scholars are surely up for the challenge. Given the level of engagement exhibited by this year’s scholars, there is little doubt that many will build successful careers in minority health and health disparities research. At NIMHD, we are committed to training and fostering the development of the next generation of minority health and health disparities research scientists. Program activities, such as the HDRI, are key in this endeavor. Ensuring that early stage investigators are well versed in the field of health disparities science and capable of competing for extramural funding to support a program of research is central to our mission. We look forward to welcoming the next cohort of scholars in 2019. To be notified when the 2019 application cycle opens and other NIMHD announcements, please sign up here.